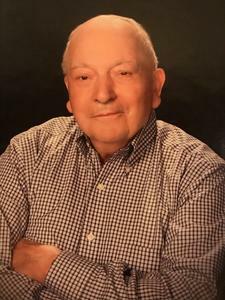 William Dardini, 86 passed away October 25, 2018. Beloved husband of Roxanne. Cherished father of Kay (Allan) Reed, Michael (Crystal) Dardini, Joseph (Suzy) Dardini, Amy (Ron) Kibner and Laura Dardini. Dearest grandfather of 14. Loving great grandfather of 12. A visitation will be held Sunday 3- 8 pm with a Scripture service 7 pm, at Neely-Turowski Funeral Home, 30200 Five Mile Road, Livonia. Funeral Mass will be held on Monday 9:30 am with an instate 9 am at St Aiden Catholic Church, 17500 Farmington Rd, Livonia.